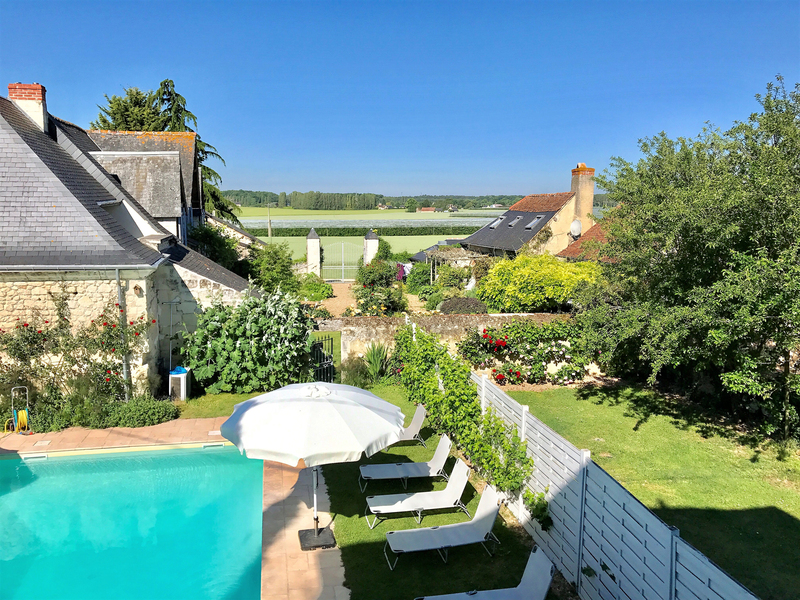 A series of three luxury gîtes and a huge barn set around a big courtyard as part of the former manorial hamlet of Courleon. All of the gîtes have been beautifully and sympathetically restored. All the buildings are of the local Loire stone ‘tuffeau’. 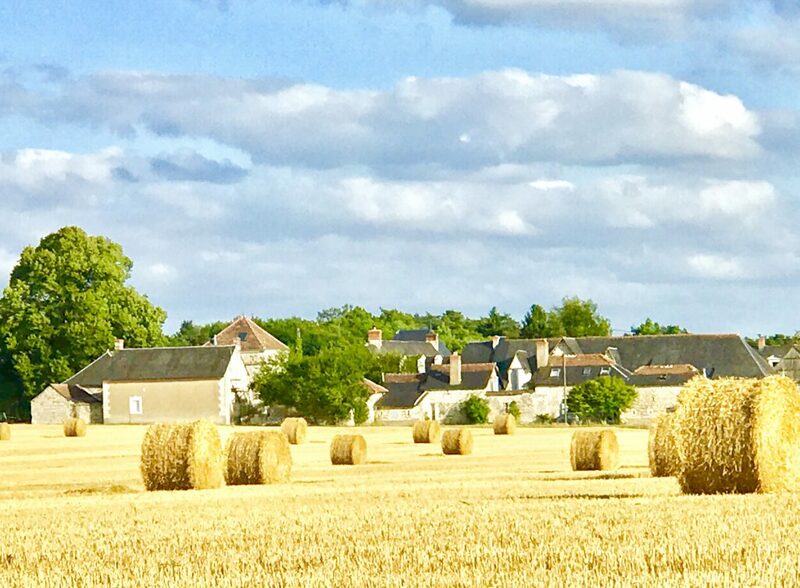 La Touche stands on a slight rise in tranquil surroundings of fields and woods with views south-westward towards Courleon with its church spire set amidst graceful poplar trees. The pool is in a quiet separate and secure courtyard. The luxury gîtes are furnished comfortably and tastefully with antique and period pieces. Double bedrooms are easily capable of becoming twin bedrooms. To view the complete schema for each of our Gites and bedrooms please click on the appropriate selection below. Please spend a little bit of time looking around the site or if you are already to book please feel free to check our live availability and contact us for a reservation. We have some games and toys for younger ages which are kept in the Games and Music Room which we would be delighted to share with your children and babies. There is a table-tennis table, bats and balls, and a dart board. There are also 2 x pianos (one baby grand and one electronic) and there is some sheet music but do please bring your own. There are large lawns to the front and side of La Touche which are great for all sorts of games. We have basics like balls for football and throwing. If you have equipment for your favourite games please do bring it. Next door to the Games and Music Room is where the bicycles are stored which we try and keep in good order We have 2 x travel cots and 1 x wooden cot. Outside the back of the barn on the woods side there is a basketball net. There is no passing traffic at La Touche and the pool is in a secure area with a lockable gate so that youngsters can’t get in. La Touche is owned by Penny Freeman and Peter Hudson. Penny was a partner in a London based firm of architects specialising in restoration and conservation. Peter is a counsellor and trainer and directs the School Counselling Trust. 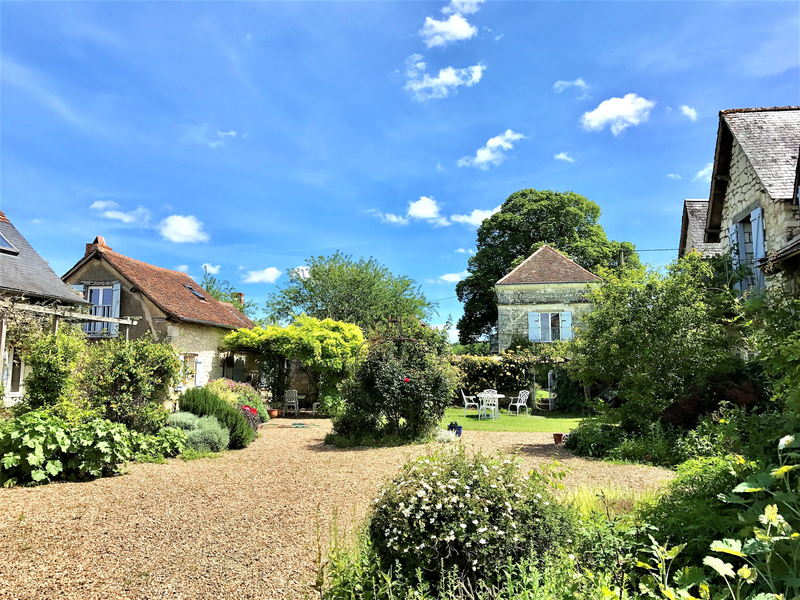 Both have been actively involved in developing La Touche and have aimed to retain the delightful original atmosphere of the place which is at least 300 years old.